The perfect place for your family's care. Welcome to Neville Family Dentistry! With our convenient location in Horse Cave, Kentucky, we are honored to serve the surrounding areas of Hart County, Metcalfe, Edmonson, Green, Barren, and Monroe. Our family-friendly dental office manages everything from routine cleanings and exams to implant placement and restorations, Invisalign clear aligners, soft tissue laser dentistry, implant-retained dentures, and the scalpel-free, suture-free Pinhole Surgical Technique for gum rejuvenation. Neville Family Dentistry, under the guidance of Drs. Steve and Les Neville, treat patients the way they would want their family treated, with kindness, respect, and the best dentistry available at an affordable price. With Pinhole Surgery, up to sixteen teeth can be done at the same time. This means immediate results across your entire smile in a single visit. At Neville Family Dentistry, our doctors bring their expertise to direct your tooth restoration case at every stage. Invisalign brings stealth straightening to you with thin, invisible trays. Neville Family Dentistry’s experience puts a stunning smile within easy reach. 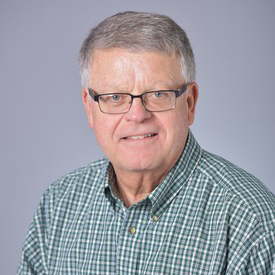 A native of Horse Cave, KY, Dr. Steven P. Neville is a 1971 graduate of Caverna High School and received his undergraduate degree from Western Kentucky University. After earning his Doctor of Dental Medicine degree from the University of Louisville School of Dentistry in 1979, Dr. Neville returned to Hart County to join an established dental practice. Soon after, he bought the practice to fulfill one of his dreams of providing dental care to South Central Kentucky. Dr. Les S. Neville was born and raised in Cave City, KY. He is a 1996 graduate of Caverna High School. Dr. Neville earned both his bachelor's degree and Doctor of Dental Medicine degree from the University of Louisville. He returned to the area to join his father’s practice in Horse Cave, and in 2012 he became an associate of Neville Family Dentistry. "By far the best experience that I have ever had with a dentist. Lower wisdom tooth extraction with NO pain. Staff is amazing and very professional. Thank you all!" "This is the best dentist around. My first visit but wont be my last. The whole staff is nice and he was very fast in getting my wisdom tooth out." "They are great people, they treat you very well. The Dr. is very nice and if you start hurtin and tell him he will stop and give you a break or will gove you more numbing medicine. I had 6 teeth pulled and they treated me great. I would recommend them to anyone that asks me about needing a good dentist." "This Denist office is a superb Dentistry. They handle each patient with care & understanding. They truly care for their patients. They are very efficient timely with their appointments. Thank you for being great addition to my 3 sons health care in promoting good dental hygiene!" Schedule an appointment with Dr. Steve or Dr. Les today!